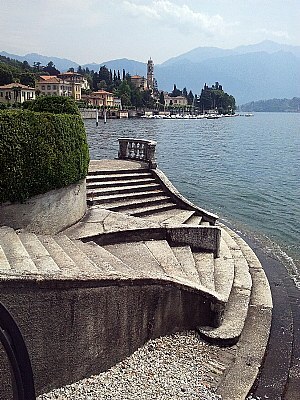 Scatto bellissimo e originale, interessanti le linee delle scale che scendono al lago e ne esaltano plasticità e paesaggio. ciao ale. I lived at Varese and its lake. this is "the land of seven lakes"
and if you go back... you call me ! My dad is from Lago Maggiore. Well positioned place to make a picture, the stairs in the fg and the houses in the bg, it is just right. what a beautiful lake & balcony :-) Lovely Roby , I like it !!! I like the way you captured the stairs -- it creates and interesting perspective. Nicely done.